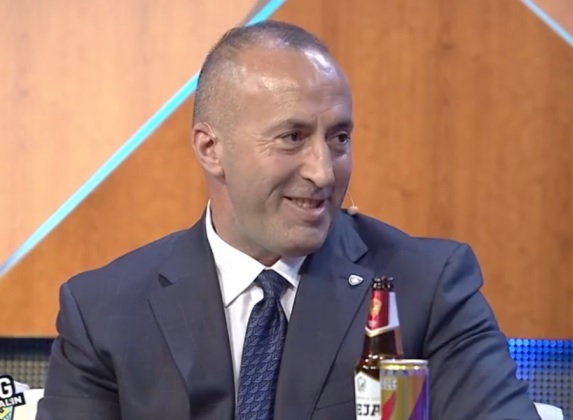 Kosovo Prime Minister Ramush Haradinaj expressed his willingness to resign if Kosovo joins Albania. Last night he was invited to the show of TvKlan "Xing me Ermalin"; he spoke about his life from work in emigration to marriage and political career. Asked by Ermali that if Albania and Kosovo gets united, who will resign he or the Prime of Albania EdiRama, while Haradinaj said "I resign. Why not". He was very spontaneous to show that more important than everything is the union. The moderator's complaints about the controls on both sides of the border, Haradinaj responded that from January 1, Kosovo will remove all kind of border controls.